I want to preface what you are about to read by saying I am a very active member of the school, both academically and socially. Middlebury has an amazing group of people and there are lots of redeeming traits, but . . . The administration and CCAL (Center for Campus Activities and leadership) are slowly suppressing the last vestiges of a once vibrant Middlebury social scene. If you are at a small party, 60 people in a large house, public safety (some really nice people but largely made up of dissatisfied townspeople) will harass everyone they see, repeatedly demanding identification of everyone even if they know you are 21. If you respectfully criticize their methods in any way you run a solid risk of being put on probation through a very opaque judicial policy where the dean of the college can and will throw you under the bus. If you are in a club or student organization CCAL will closely supervise and restrict you. Even if you have an approved budget they will interfere if you step out of line of their wishes. The worst part of this is the way they do it. They will smile to your face and say you are doing a great job while trying to cut your budget and digging around in your files to get you on probation. If that fails public safety will be told to keep a close eye on you as an individual and the organization as a whole. In addition much of the econ department are ineffective teachers. The school, to its credit, is trying to force them out but as they have tenure they linger on in their inefficiency. Quality of life, from food to student services has declined steadily in my three years here and in the past decade from everything I have heard. It has gotten to the point where I and many of my friends would transfer were it not difficult to do as a junior. In a recently released poll taken by the college, satisfaction with social life was ranked a 2.5 out of 5 overall. I believe it to be even lower this year. 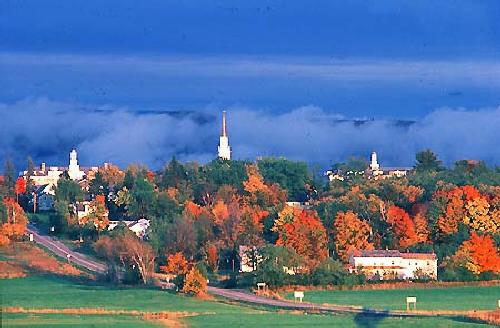 For those thinking about coming to Middlebury, I encourage you to still apply because it is still a beautiful place with a great reputation and a lot of opportunities. As a whole the professors are really helpful. Just know you will not have much fun and will face an administration, made up of very few middlebury graduates, that pursues its own agenda regardless of students needs and desires. As I am still a student and fear reprisal I am not going to give my contact email, hope you understand.